A Protein-Rich, Weight Gaining Health Mix. 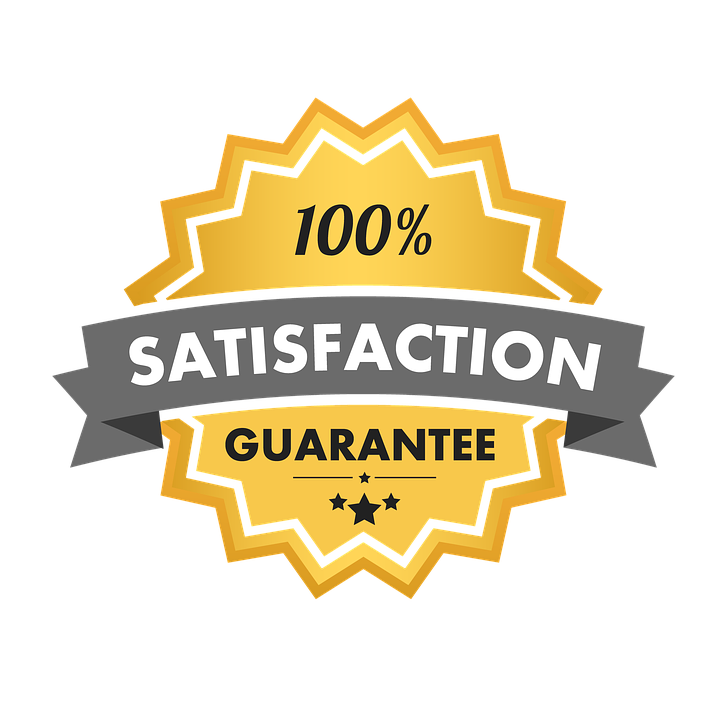 It is 100% natural andwe do NOT add any preservatives, artificial flavor, sugar or salt. 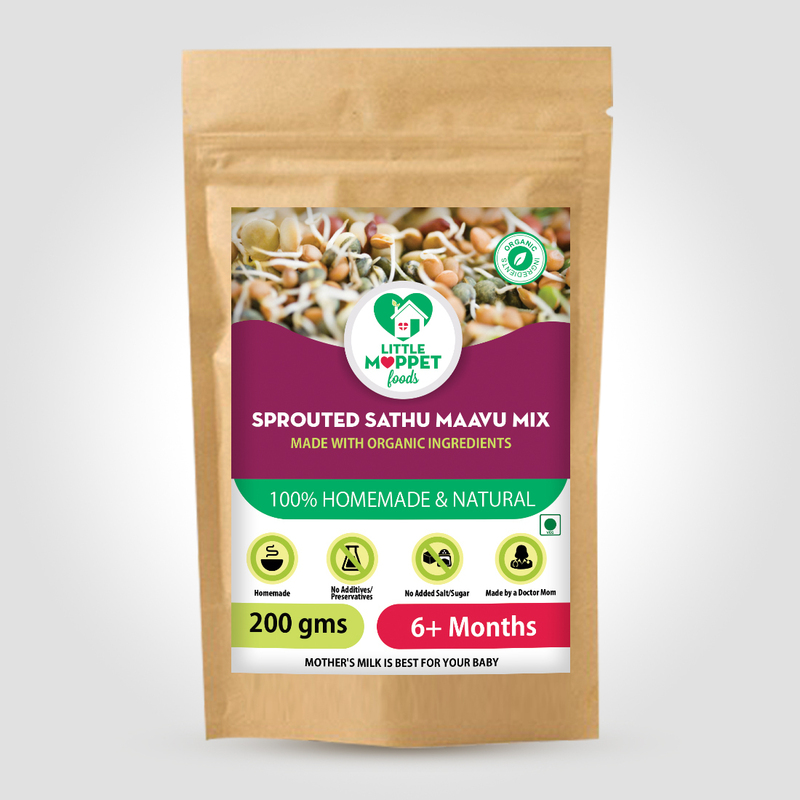 An incredible blend of a whopping 19 ingredients, the Sprouted Sathu Maavu Mix is brimming with protein, calcium, carbohydrates, essential vitamins & minerals. 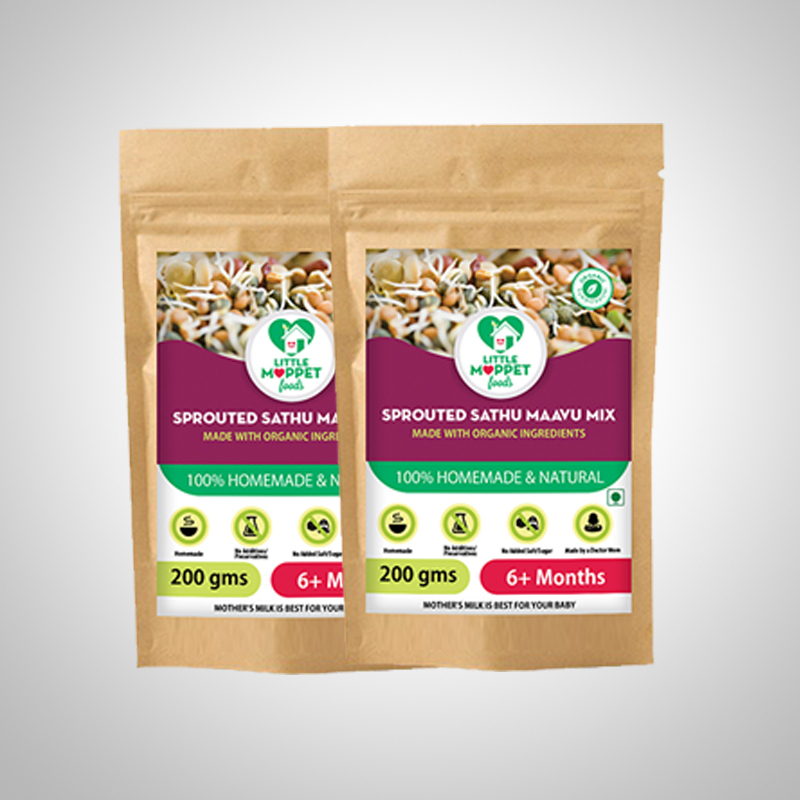 Sprouted pulses have a higher proportion of proteins, fibre, minerals and vitamins, including Vitamin D. And nutrients are more easily absorbed by the body due to sprouting. 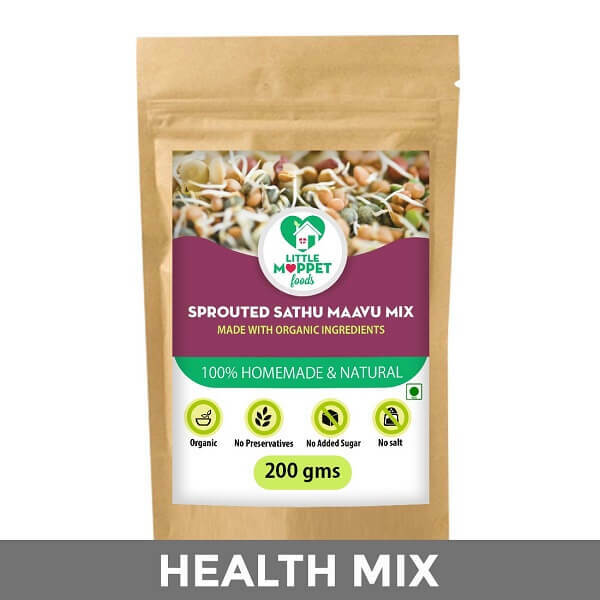 How to Prepare: Mix 2 tablespoons of Sprouted Sathu Maavu powder with 2 cups water, without lumps. Cook the mixture on medium flame for at least 10 minutes. Fruit Purees can be added to the porridge to make it naturally sweet. 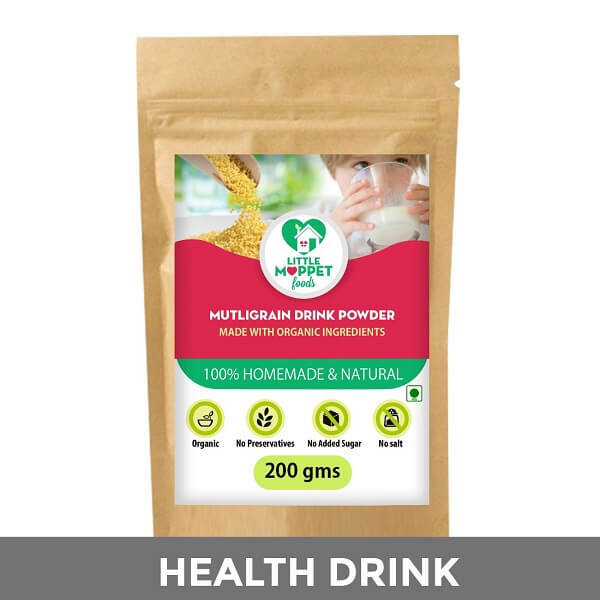 I ordered this health mix and got it delivered within 2 days. Thank you for the quick delivery. 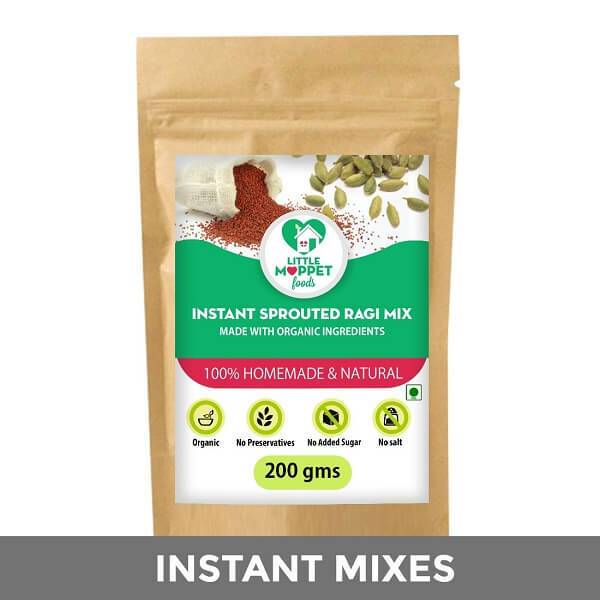 Have tried this and my little boy simply loved it Thanks again for this nutritious health mix. 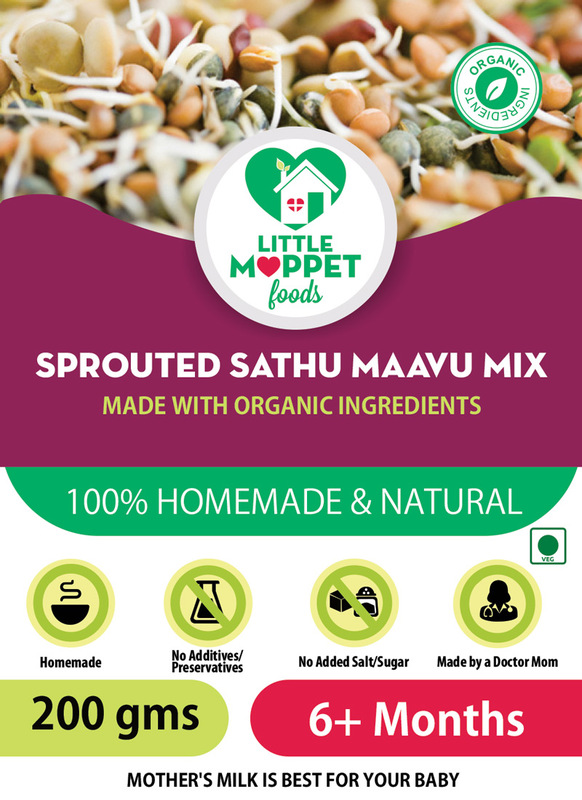 I have tried both Sprouted Sathumaavu Mix and Sathumaavu Mix. My 8 months baby loves it. Many Many Thanks and god bless you! 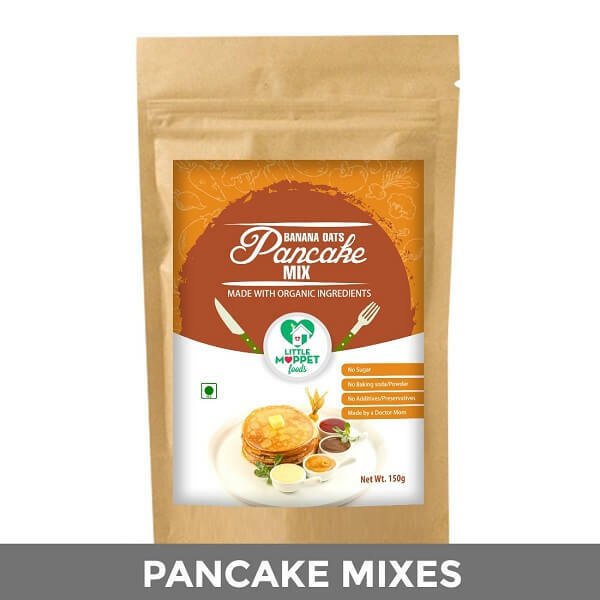 I am so happy that a Very nutritious and protein rich product is ready and available for a working mother. 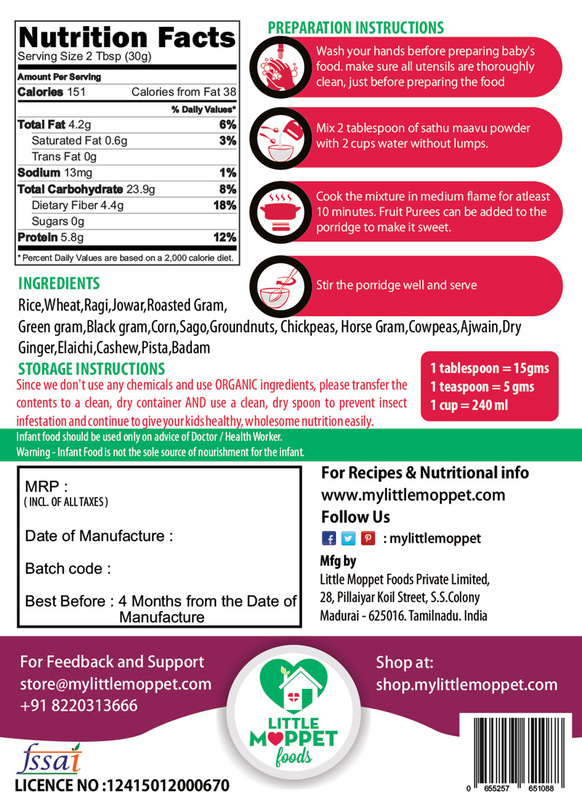 I have also tried the multi grain health mix, organic oats, I am happy to share that my baby enjoys when I feed them. Stay blessed! Thankyou once again !